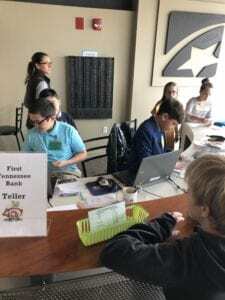 Cordova, Tennessee – March 5, 2019- Fifth grade students at SFA were operating banks, preparing business plans, managing restaurants, writing checks, and voting for mayor at JA Biztown last week. This is the 3rd year that 5th graders from SFA have participated in JA Biztown’s unique educational experience. Sponsored by Junior Achievement, JA Biztown is a hands-on program that combines in-class learning with a day-long visit to a fully-interactive simulated town facility. In the classroom, students learn what it means to “be a good citizen” by obeying laws, paying taxes and voting. They also learn about the economy and how it works. 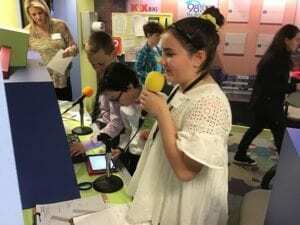 JA Biztown connects the dots between what students learn in school and the real world. Through the experimental learning process, students are actively engaged in posing questions, investigating, expressing curiosity, solving problems and assuming responsibility.